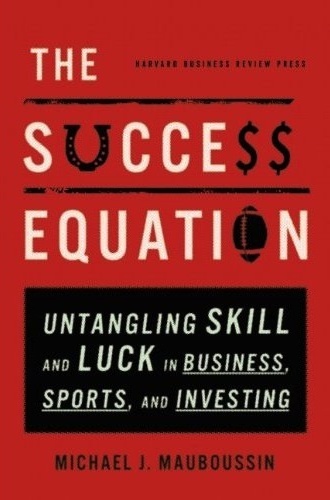 Michael Mauboussin describes the relationship between luck and skill. By being able better to understand how these differ and contribute to our lives, we will be able to make better decisions. Always consider a null hypothesis. What are you comparing to? A must read for anybody interested in better understanding themselves and others in order to make better decisions. Better understanding the role that luck and skill plays in a particular area and where you fall in that spectrum is extremely useful regardless of the types of decisions you are making or the game you are playing. This entry was posted in Books and tagged Investing, Michael Mauboussin on February 2, 2015 by Blas.